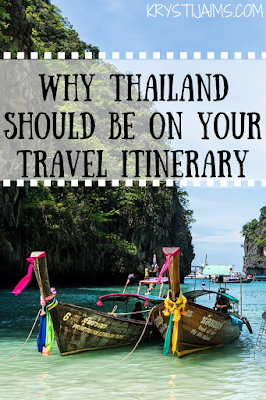 One of the best things about travelling to Thailand is that it’s incredibly budget-friendly- so funds shouldn’t be an excuse not to go! Local food and drink are incredibly cheap- you can eat at a local restaurant and have a three-course meal including a cocktail for less than $10! 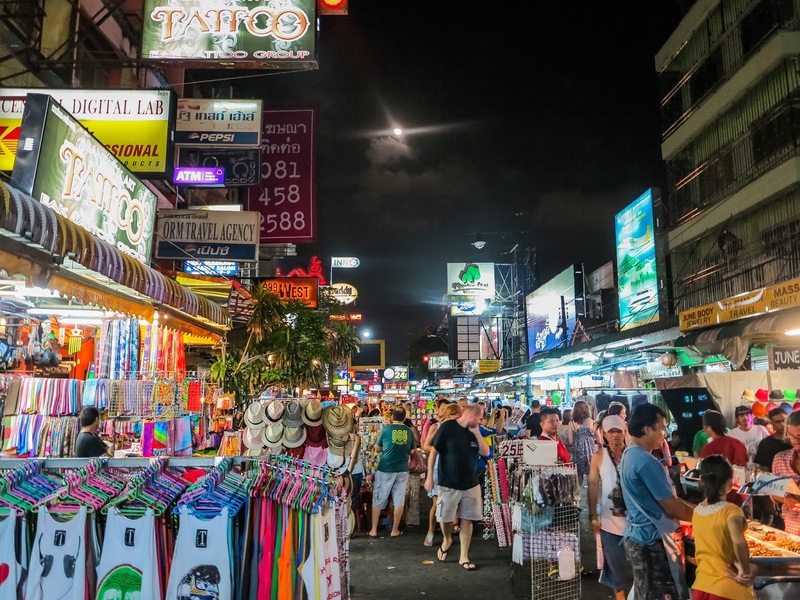 Tours, public transport, massages and beauty services and of course the shopping are all incredibly priced as well so do take advantage of it while you’re there! One of my favourite things about Thailand is that it’s incredibly rich in culture. The majority of the people are Thai Buddhists, so everywhere you turn is a beautiful shrine or enormous temple to marvel at or visit. Okay, if I’m being honest- my actual favourite thing about Thailand is the food! It is just so delicious, fresh and spicy. Travel is about trying new things, isn’t it? That’s why you should always make an effort to try the local cuisine and trust me, you won’t be disappointed. 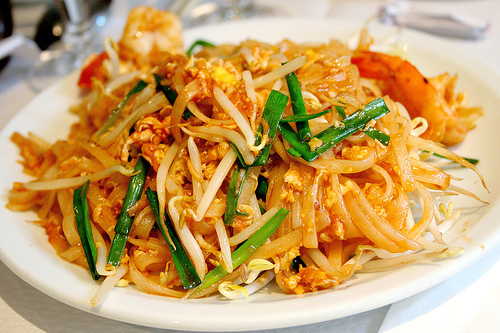 If you’ve ever had Thai dishes or takeaway before and liked it- I promise you it is a thousand times better in Thailand! There’s nothing like eating food in its country of origin. 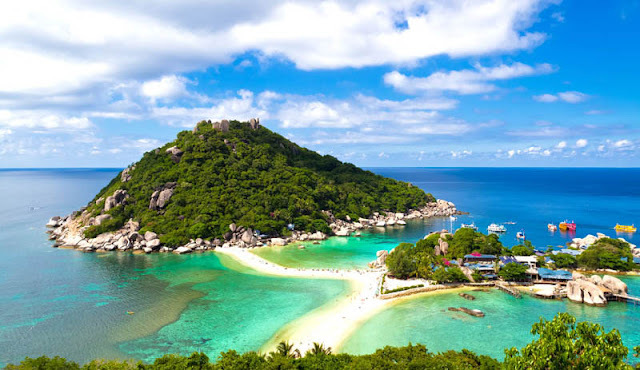 In Thailand you can do any kind of travel that suits your wishes. Whether that’s a cheap backpacking holiday, a girls shopping trip, a romantic luxurious getaway on one of the beautiful islands, a party gap-year trip, a volunteering holiday or a peaceful and relaxing retreat in the mountains- you can do all of the above. 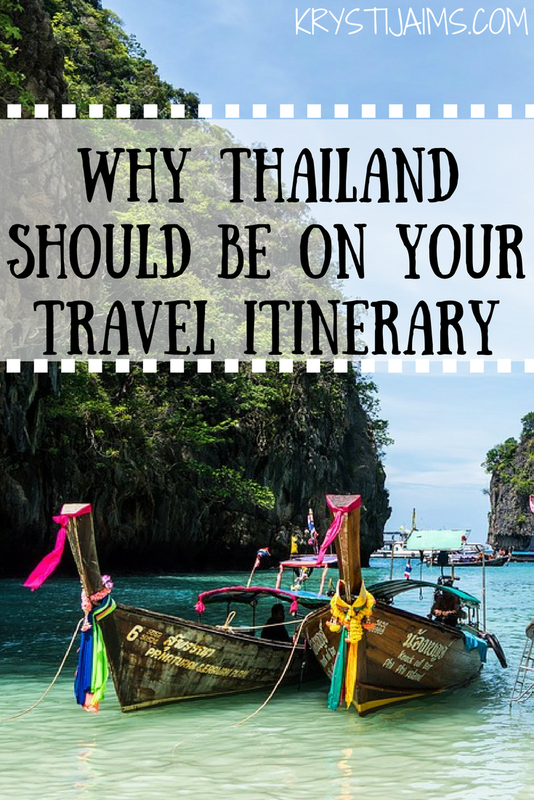 Those are just some of the many reasons why Thailand should be on your travel itinerary this year! I myself am definitely hoping to go back and volunteer in a women’s community centre in Bangkok. I simply cannot wait to return to Thailand and hope I have inspired you to visit yourself! So far I have a post on Bangkok if you would like to read more: Bangkok: My Experience | Guide & Tips. Leave me a comment if you’re interested as well or if you have any questions.